Basil is sometimes called the king of herbs. 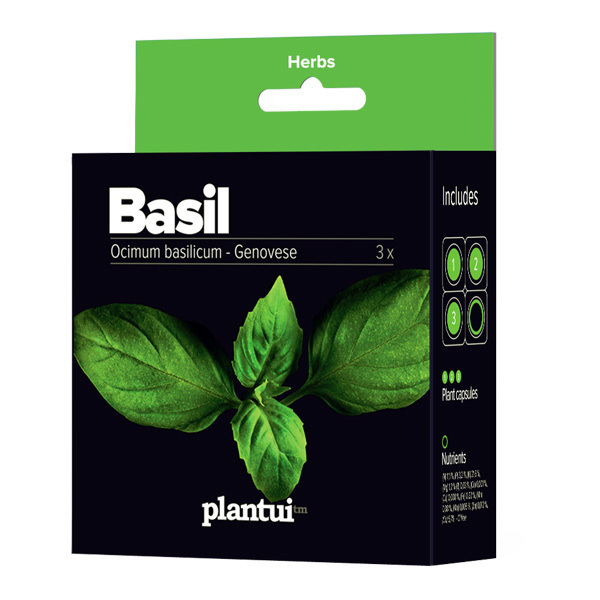 This honorary title is not only tied to cooking: basil has been found in the royal burial chambers of the pyramids. It’s originally from India, and the first plants were brought to Europe back in the 15th century. 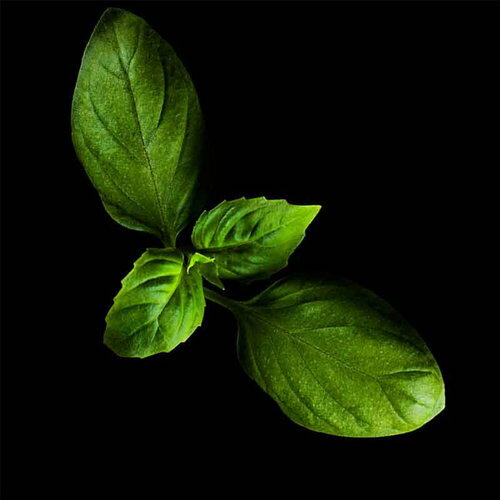 Basil contains essential oils that are mild antiseptics sometimes used to settle an upset stomach. In addition it is an alternative to a prenup: according to Sir Thomas Moore, a man taking basil from a woman will love her always. 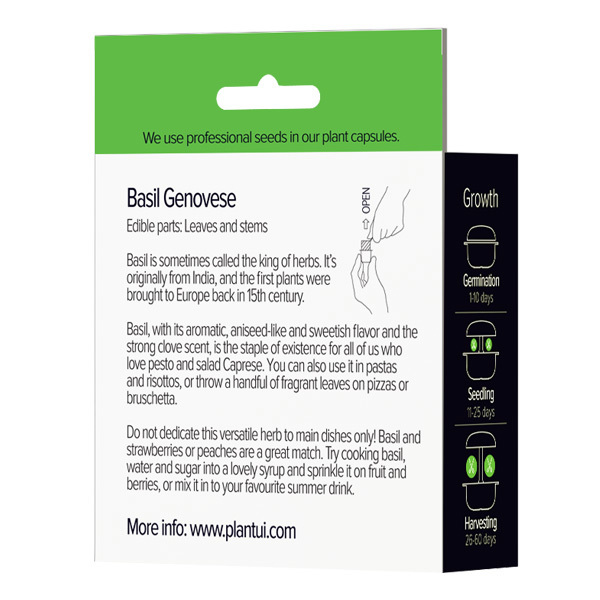 Basil, with its aromatic, aniseed-like sweetish flavour and its strong clove scent, is the staple for all of us who love pesto and Caprese salad. You can also use it in pasta and risotto and throw a handful of leaves on pizzas or bruschetta. And do not dedicate this versatile herb to main dishes only! Basil and strawberries or peaches are a great match. Try cooking basil, water and sugar into a lovely syrup and sprinkle it on fruit and berries, or mix it in to your favourite summer drink. Plantui plant capsules are designed to use with the Smart Garden device. One package includes three capsules and nutrients. Choose your favorites from herbs, salad greens and edible flowers.